Bud and his friends are no ordinary dogs! Get a glimpse into the lives of the extraordinary Roxy™ Therapy Dogs and find out how you can be just like them! 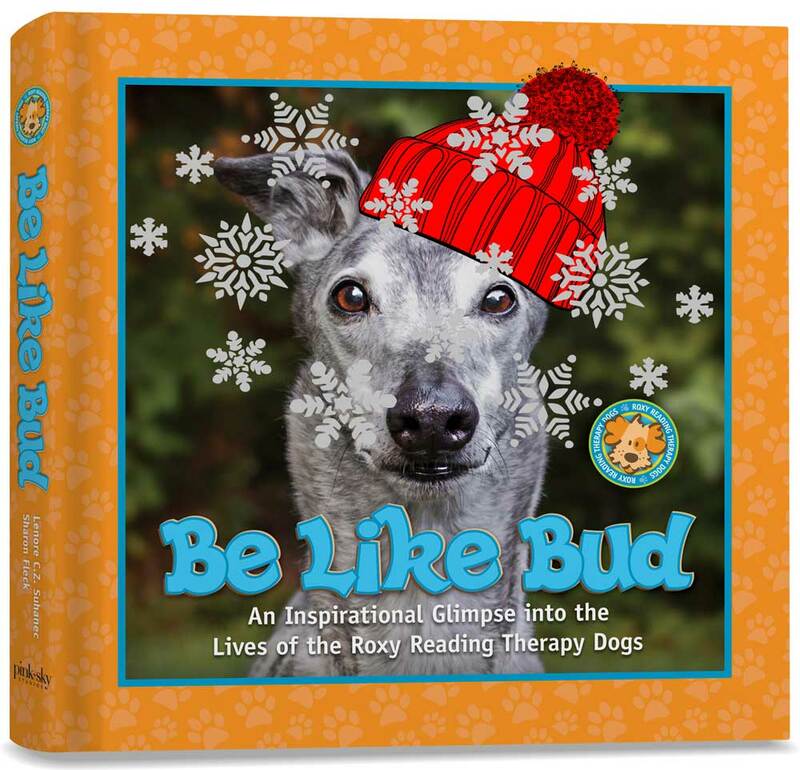 For children of all ages, Be Like Bud offers inspiring messages of support and comfort. With over 100 pages of beautiful images, Be Like Bud showcases the Roxy Therapy Dogs‘ love of children and their undeniable ability to comfort and connect with them, along with what makes each therapy dog so very special! 100% of proceeds from your donation goes to support Roxy Therapy Dogs. “5 Stars for Be Like Bud! A rare gift of insight and wisdom from some of the most enlightened dogs in the world! I love it! Book pick of the year!” — Jennifer Skiff, Bestselling Author of The Divinity of Dogs: True Stories of Miracles Inspired by Man’s Best Friend & God Stories: Inspiring Encounters with the Divine. "My sister is raising her 6-year-old granddaughter, and I gave her the Be Like Budbook for Christmas. She sleeps with it every night, knows every single dog by name and even has her favorites. If your goal with this book was to touch children who have faced adversity in their young lives, that mission was accomplished with my great niece." Roxy Therapy Dogs will mail Be Like Bud to your favorite person. Just indicate who should receive it at checkout. Fetch a copy of our first children's book and support Roxy at the same time!